INDUSTRY.co.id - Jakarta - Huawei is rumored to be bringing four new mobile phones by targeting the middle segment. The device is Nova 2i which has an appeal to its camera. This smartphone has two cameras in front, and two others for the rear camera. Like the other two camera phones, the effect of bokeh is one of the attractions that highlighted Nova 2i. This effect is not only in the camera behind, but also the front camera. Huawei combines a 16 MP camera and 2 MP in the rear body. As for the front camera, the Chinese manufacturer is immersing the ability of 13 MP and 2 MP. As for the design, this phone thrust the trend of the full screen of the present. Nova 2i equipped FullView screen that dominates the front view with 18: 9 ratio. This device is also equipped with Kirin 659 processor that carries octa core technology with the speed is at a maximum figure of 2.36 GHz. 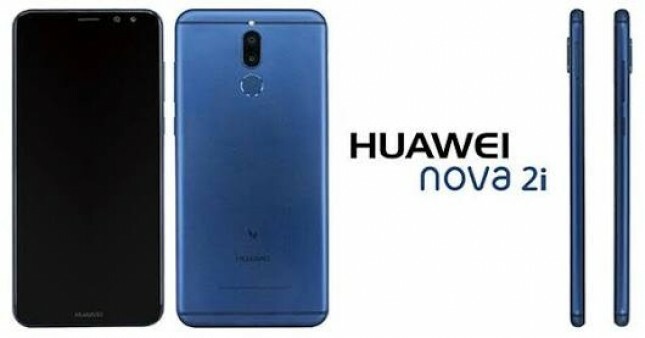 Huawei instilled it with 4 GB of RAM and 64 GB of internal memory, which can still be added up to 256 GB capacity via a micro SD slot is available. As for the power supplier, the 3,340 mAh battery is believed to keep the user activity.